Balenciaga.com has put up some of the pieces that will be a part of the F/W collection 12-13. This season with their bags and shoes, they play with different prints and textures. We do not get to preview much of the motorcycle styles except for a very interesting diamond print Velo bag that reminds me of the damask stripe bags from 2006. 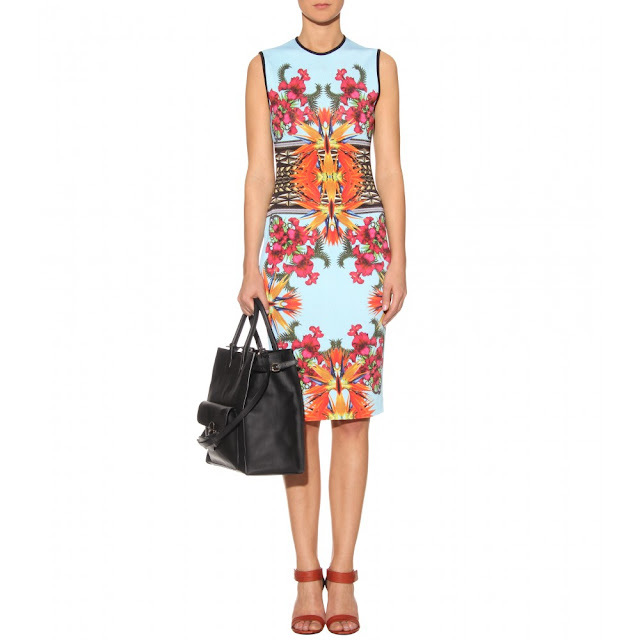 The Papier and the Tube style bags will continue into this season with different variations. I do love some of their jewelry designs with hot pink accents and bold little shapes that kind of remind of me the 90s! The mens collection this season is definitely something worth shopping for. A lot of the bags have the classic motorcycle style elements and those sneakers are just so cool that I'm considering them for my boyfriend! 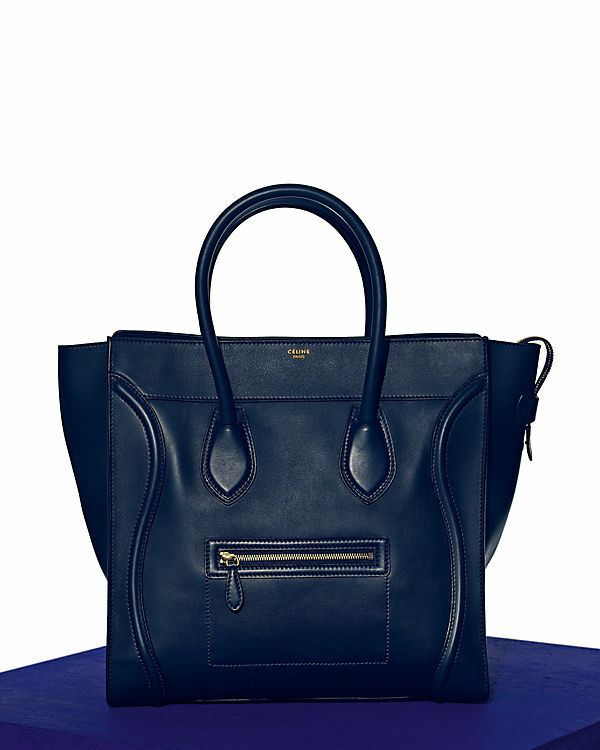 Is the Balenciaga "All Time" Tote channeling Celine? 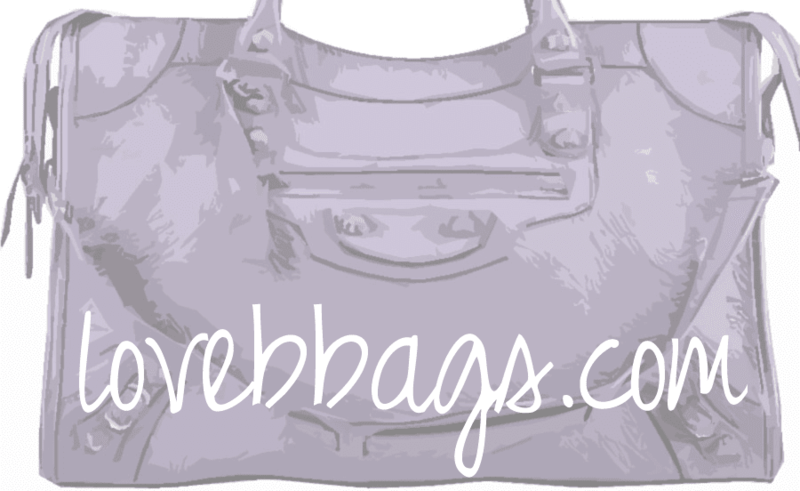 Celine has gained massive popularity over the last few seasons with the ever so popular Luggage tote bags that has been seen on many celebrities, bloggers & fashionistas. I had to do a double take when I saw a new Balenciaga bag called the All Time Tote. 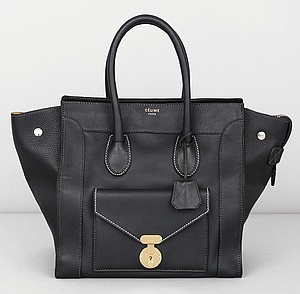 It is strikingly similar to the Celine Mini Luggage! The price isn't cheap either as it goes for well over 2k ($2445 to be exact). The All Time Tote is very different from the motorcycle bags because it has smooth structured leather with stiff standing handles made from calfskin. It also similarly boasts a teeny logo "Balenciaga Paris" on the front of the bag which the Celine luggage also has. The only thing is missing is Celine's iconic wing shape but Balenciaga adds a shoulder strap which deserves extra brownie points! What do you think? Yay or Nay? 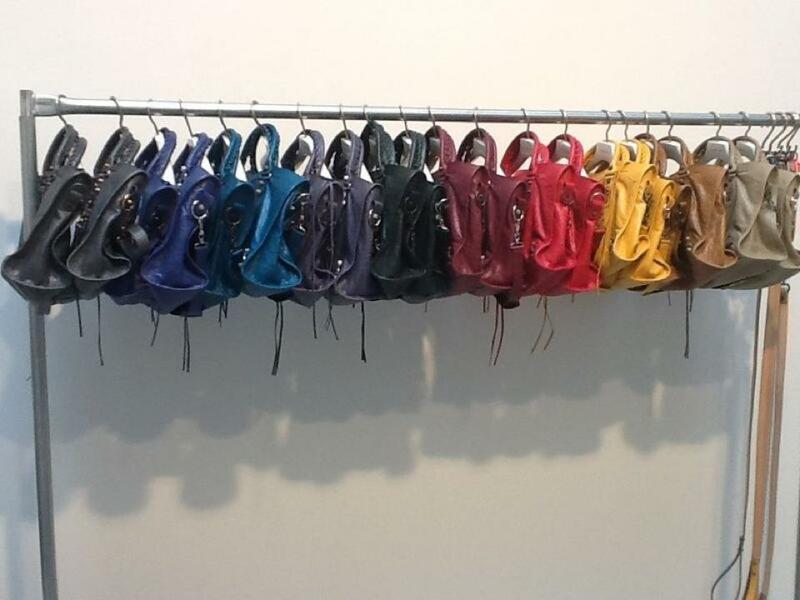 Does anyone who owns both a Balenciaga and Celine want to chime in with their bag experiences/preferences? All I can say is imitation is the best form of flattery! I must admit I am becoming a fan of Celine but have yet to bite the bullet. If I were to get one I'd get the adorable Nano bag which comes with a shoulder strap! As seen below on Joey Ma from his blog.. so fierce! Nicole Richie was spotted shopping at a farmer’s market at The Grove with a girlfriend on Saturday, April 7, 2012 in West Hollywood, Calif. She wears the Neela romper from her Winter Kate line with her blue Classic First from 2005. Her whole look is very bohemian chic! Lauren Conrad was spotted at LAX Airport on April 1, 2012 leaving for a flight to NYC to guest star on the Wendy Williams Show. She is also on an 11-city tour for her new book The Fame Game. On both occasions, she wears her gorgeous Balenciaga Rose Gold Hardware Town bag which is perfect for her frame. F/W 2012 Color Swatch is here! 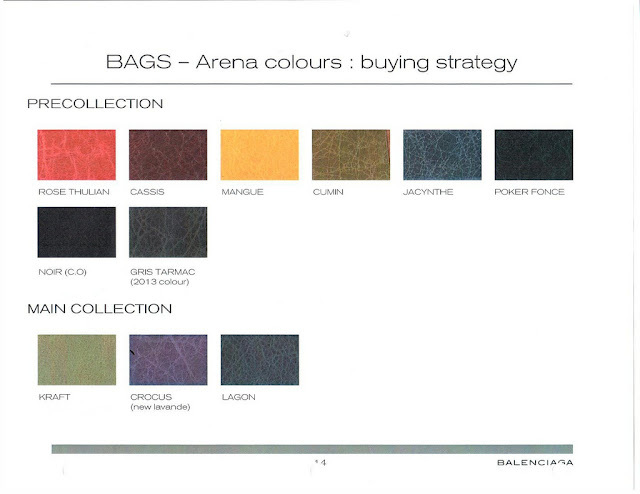 New intel from TPF is up, the Fall Winter 2012 Balenciaga color swatch has finally been released! For the first time in years it looks like Anthracite is not going to be released, but there will be a Gris Tarmac which may be its replacement. Colors I think look lovely are Rose Thulian, Mangue, Jacynthe and Crocus. So the excitement of the waiting game begins! Update: Here is a showroom shot of the bags! Source tpf. Model Irina Shayk was spotted attending the Opening Showroom Fashion Fever in Melrose Avenue in Los Angeles, CA on February 24, 2012. She carries a beige colored Balenicaga Giant Covered Hardware Envelope Clutch in what may be either Sahara or Praline. She also matches her bag with a gorgeous pair of Louboutin pumps.